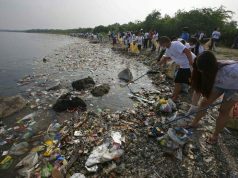 “China lands bombers on South China Sea isles” were the headlines that greeted us in past weeks. These landings took place in a reclaimed feature in the Paracel Islands which is next to our neighborhood, bringing full militarization closer and working itself with certainty into our own backyard. Following our earlier suggestions on what we may consider doing to advance our lawful position in the West Philippine Sea, we were again asked what else could be done. As a reminder, the Philippine Constitution mandates our president to defend what is lawfully ours. Our government should also be mindful that as early as 2016, a Pulse Asia survey indicated that more than eight in ten Filipinos took the position that we should assert our rights as awarded by the arbitral tribunal. Since an early decision was made by the incumbent government to shelve the arbitral outcome, not only did we lose opportunities to advance our position, but we also found ourselves being thrown into reverse gear, thus allowing ourselves to be fully disadvantaged. That said, is it timely for us to take stock of our situation? Should we be more helpful to our government as a proud people of a sovereign democratic nation? Would it make a difference if we all speak loudly, clearly, and with one voice in promoting our national security? For obvious reasons, we must do so. Our government needs to listen to its people. Our northern neighbor needs to listen to the Filipino people. And finally, all our traditional partners and friends – who are waiting for a united voice – need to hear from us. As we speak, to begin with, nearly all Filipinos will agree that our foreign policy should be revisited. Let us say so. Is it high time for our government to assert our rightful position by utilizing the experience and diplomatic expertise of our Department of Foreign Affairs? If we believe this, let us say so. Is it, moreover, high time for our government to assert our rightful position by relying on the skill, courage and patriotism of our armed forces who are capable of developing a credible minimum defense posture against any bully or aggressor, whoever that might be? If we believe this, let us say so. As we had previously said, we are opposed to war—as we should be. But if threatened by the use of force, we should be ready to inflict, at the very least, a bloody nose on any attacker who is out to harm us. For example, it is my understanding that this capacity, which may be delivered by Bramos Missiles, may be acquired by the Armed Forces of the Philippines from India and would be a good starting point. Should we then undertake to stand more firmly in defending what is ours thereby, upholding the future security of all our people? If we believe this, let us say so. With the president’s thoughtful leadership and with the coordinated execution by our DFA and our AFP under Secretary Cayetano and Secretary Lorenzana, respectively, we can still do so. What else can we do? 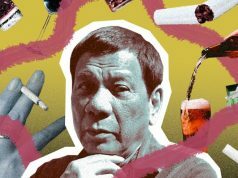 Economist Solita Monsod suggests that all of us take a few minutes to write our president. I humbly suggest that we all ask him to be more proactive and assertive in defending what is ours. Acting Chief Justice Antonio Carpio, a learned and patriotic advocate, believes that a diplomatic protest should be urgently filed and that we should take our assertive and lawful stand to the doorsteps of our northern neighbor’s embassy. I fully agree with the aforementioned suggestions and trust that many others will share the same sentiment. The president believes, however, that those of us who endeavor to speak in the spirit of being helpful are not prepared to sacrifice ourselves. It truly behooves us then to ask our leadership to have more confidence in our people. To support our president, to secure our nation and to ensure the future of all Filipinos, it must be believed that indeed there are those of us who are prepared to make the supreme sacrifice for our country, especially when called upon. Finally, all of us want to be helpful; all of us must be helpful. Let us, therefore, respectfully convey to our president that we eagerly await his inspirational leadership by doing what is right. 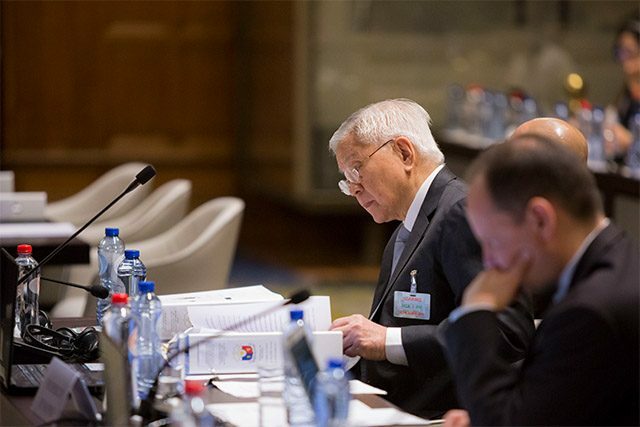 Ambassador Albert del Rosario is the chair of the think tank ADR Institute. Before serving as the country’s top diplomat, he was the Philippine ambassador to the United States. 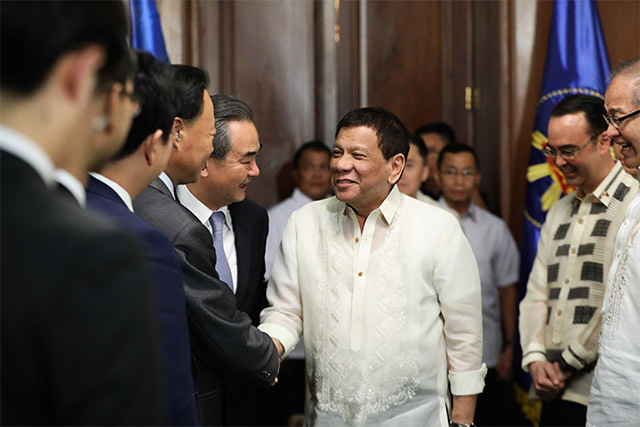 He led the country’s efforts under President Noynoy Aquino to bring a case against China’s claims over the West Philippine Sea before an international arbitral tribunal under the United Nations Convention on the Law of the Sea.